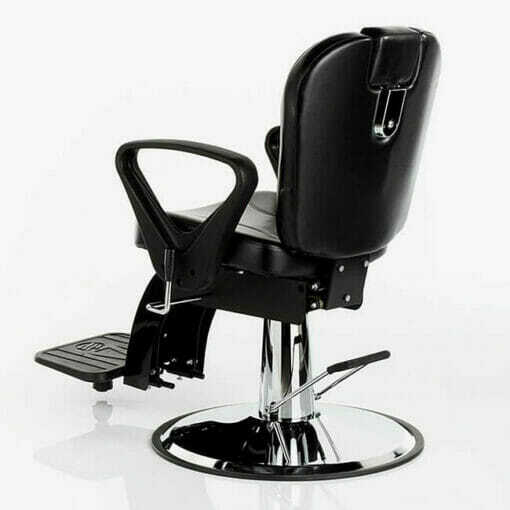 A truly unique example of barbering furniture. 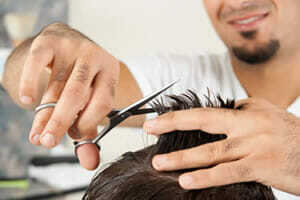 Locks into position to prevent any unwanted movement while in use. Stand out in a crowd with this modern and unique designed barbers chair. 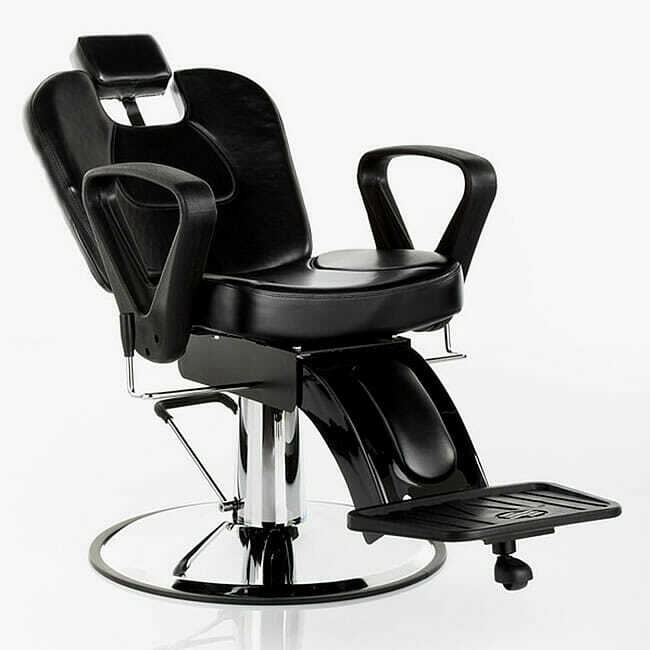 It Featuring a fully reclining back rest, ideal for shaving. 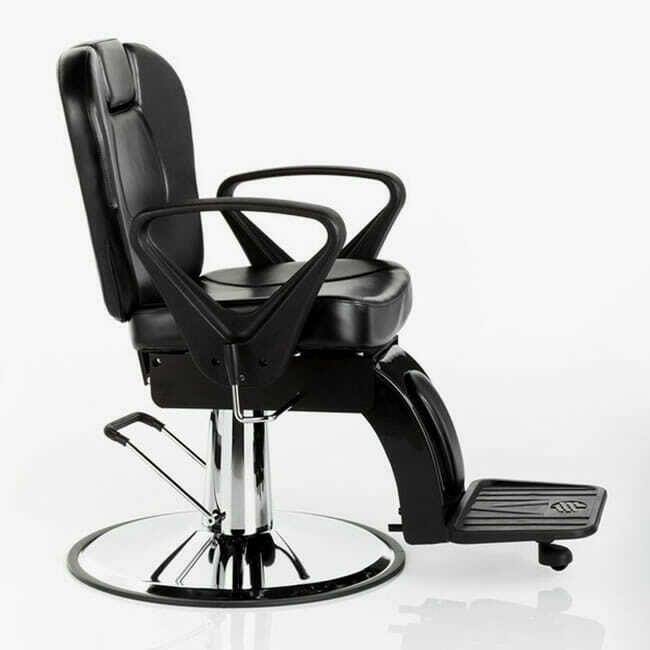 With black arm rests, a large foot rest and a height adjustable head rest, all for added client comfort. 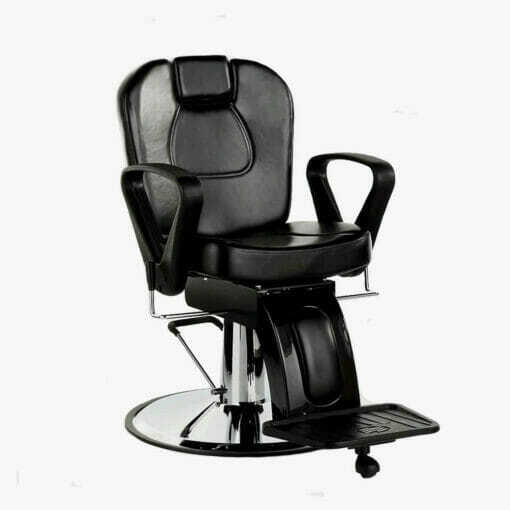 The Panther Barbers Chair is supplied with a heavy duty, chrome polished hydraulic base. 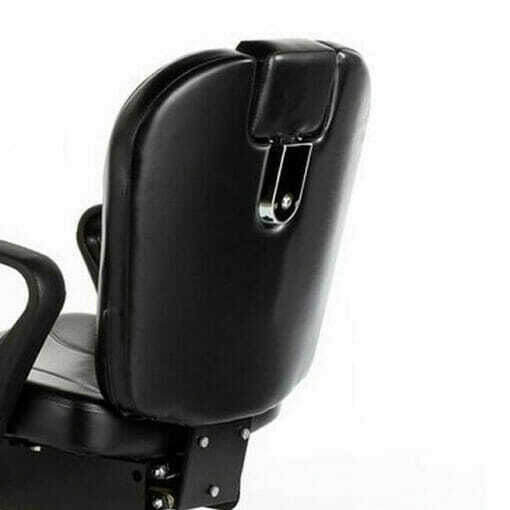 Locks into position to prevent any unwanted movement while in use. Dimensions: Width 65cm. Depth 110cm, Height 55 – 68cm. 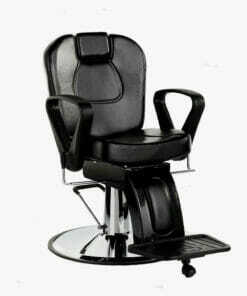 This product is no longer available, please see our Barber Chairs, for the current range of barber shop chairs.